Only a third of electronic waste properly recycling in Europe _ PCB recycling machine,cable wire recycling machine,E-waste recycling plant,precious metal refining machine system,E-waste shredder,plastic and metal recycling production line,copper electrolysis system-Zhengzhou Zhengyang Machinery Equipment Co.,Ltd. According to Reuters, appropriate in Europe only a third of e-waste recycling, the rest of the most used mobile phones, computers and television and other electronic waste is illegal export and discarded. According to the report, Sweden and Norway has the highest utilization rate of electronic waste, Romania, Spain and Cyprus only less than 20% of the electronic waste recycling. European rules and regulations, the use of electricity or batteries, discarded electronic products must be effectively in order to reuse the metals such as gold and silver, and to avoid release to the environment of toxic materials such as lead and mercury. 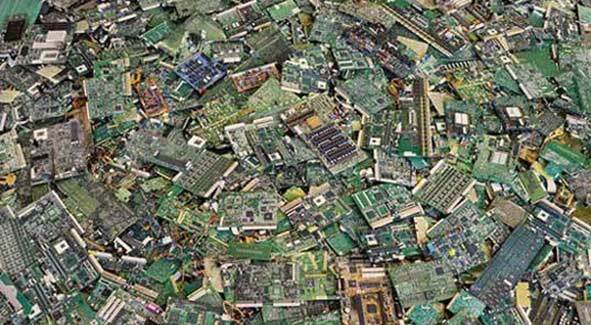 In general, the continent in 2012 only 35% of electronic waste is properly recycled. The report also went a traditional impression of people, the most illegal trade of electronic waste were shipped to Africa, was sold to the local people use after repair.